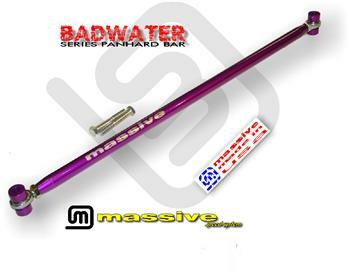 Massive’s Badwater Series Adjustable Panhard bars offer a combination of strength, quality, ease of install and straight up TRACTION that make it a grand slam. 1.25” OD .120” wall Alloy steel tig welded body will handle ANY power level. Premium powder coated for good looks and long life. 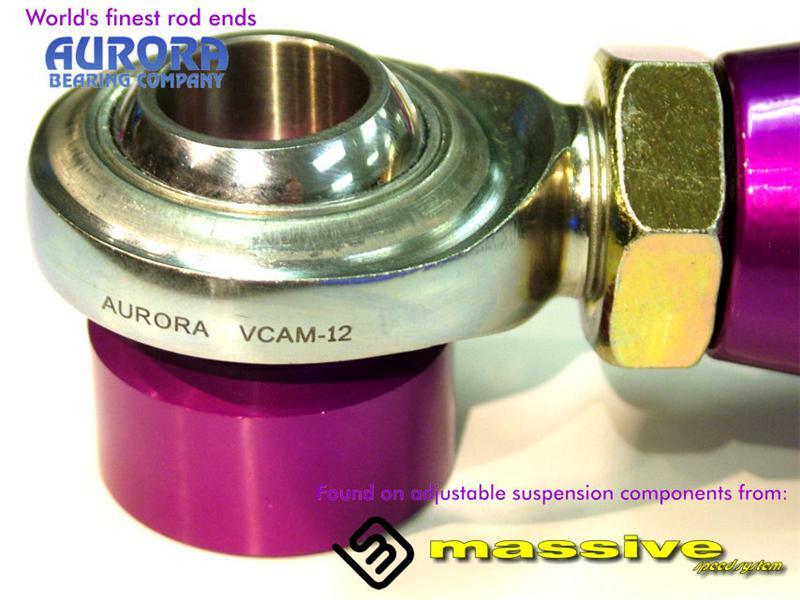 Aurora 3/4in VCAM 21150 lb Load capacity PTFE Composite race spherical rod ends – super strength yet metallic contact isolated – NO NOISE! LONG LIFE! NO LUBRICATION NECESSARY! Years of exhausting research at the race track and on the street have led us to these “cost-no-object” ends!!! 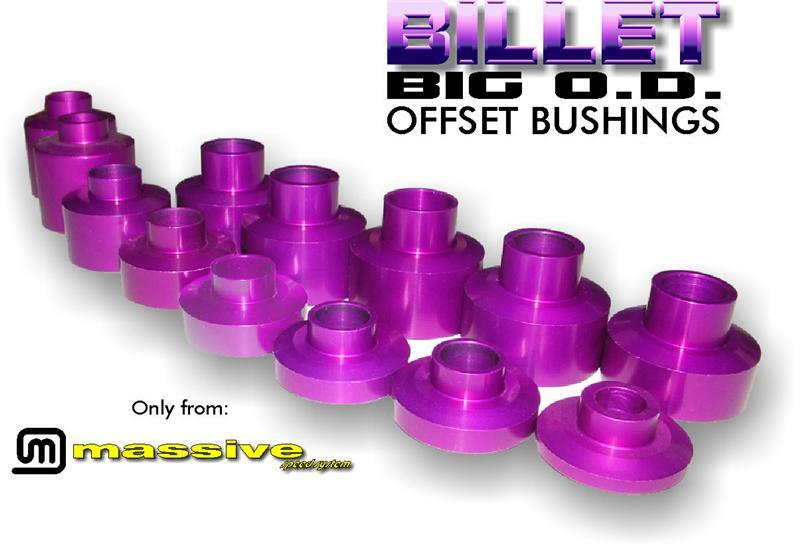 Billet BIG O.D. Custom machined rod end step bushings – Not off the shelf tiny pieces! Dare to compare! HD construction made just for this purpose where rotary motion is most critical but torque loads are great. Wont let your factory stamped steel brackets twist or bend. BIG HP cars will tear lesser pieces to shreds. Made with quality right here IN THE USA!!! Full spherical rod end construction eliminate flabby rubber – this means your rear will be planted were it’s supposed to be, dramatically improving traction and handling performance, and allowing far greater articulation and flex. Double adjustable with opposing threads so adjustments can be made while installed, makes centering of your lifted or lowered axle a snap. Massive logo so folks know you use the best. Simple 1 hour install with basic hand tools.